Over the last twelve months I have swapped the comfort of the studio for the rigours of working out in the landscape from the white cliffs of Southern England to the remote Northern beaches of Iona. I have been working with a variety of mediums and the resulting collection of work is one I’m truly proud of. 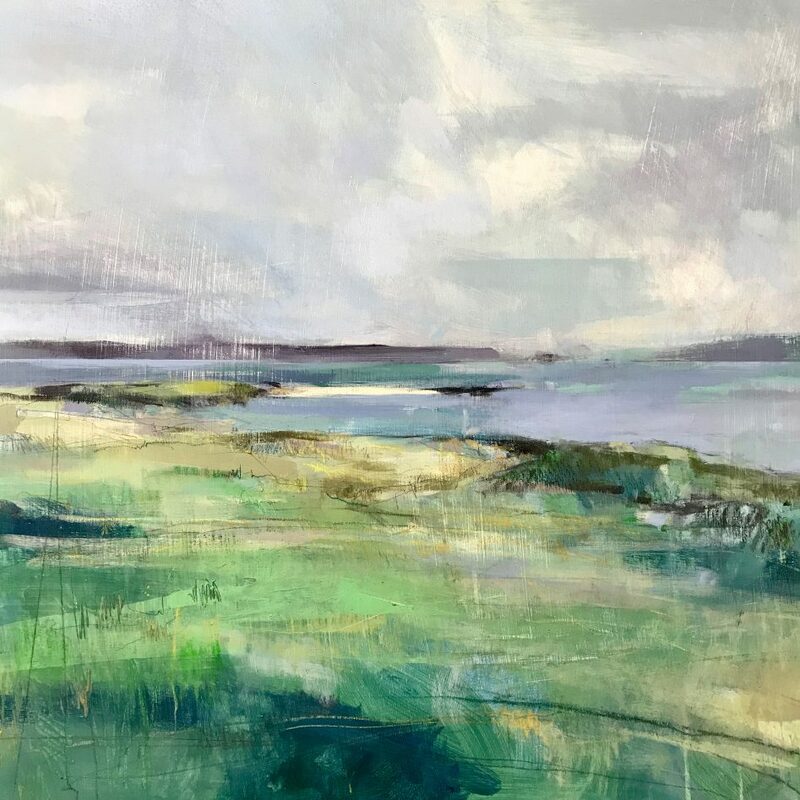 The artwork shown above is called Traigh Ban Nam Monach which is gaelic for ‘white strand of the monks’ it was developed from a series of expressive studies made en plein air on Iona in Scotland. 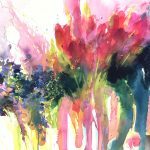 It is 60cm x 60cm and will be available to purchase for £865 at the show. I think art is made to be seen, to be enjoyed, to be talked about over dinner, to remind you of a scent, place or feeling. My work is made to be remembered, and I hope that by coming to this show you will create memories of your own. The Laurel Gallery is a beautiful contemporary art gallery and is celebrating its tenth birthday this year. I am delighted to be part of their anniversary celebrations. If you want to experience my personal take on my latest exhibition I’ll be there in person on the 1st November from 3pm – 7pm. I’d be happy to send you a ‘proper invitation’ just drop me line with your name and address and I’ll pop one in the post to you. The exhibition will also go ‘on tour’ to the Edinburgh Art Fair on 23rd – 25th November at Stand D13. Hope you can make it.